These thick neoprene booties treated with a waterproof PU coating provide water protection whilst retaining heat and moving moisture away, keeping your feet dry. The durable coating treatment also prevents dirt and mud from clinging to the surface for minimum maintenance. Optimal Panel Construction (OPC) design uses 3D modelling to shape sections of material around the foot for an optimal fit and freedom of movement. 3D cut toe box follows the contours of the cycling shoe. 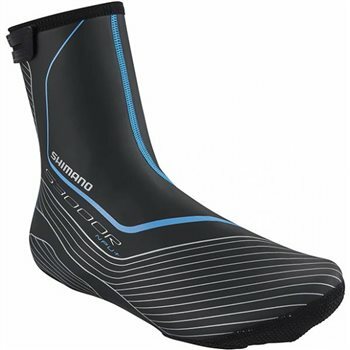 3mm multi-stretch neoprene with waterproof PU coating and taped seams for full water protection in cold conditions. Reflective elements for visibility in low light. Durable fabric reinforcements on the nose of the shoe cover. Fabrics: 78% styrene butadiene rubber 11% polyurethane 11% polyamide.